We walked out on to the pier and looked back at the beach. Through our bins we saw a thin, long-legged bird standing alone, apart from the gulls and geese. 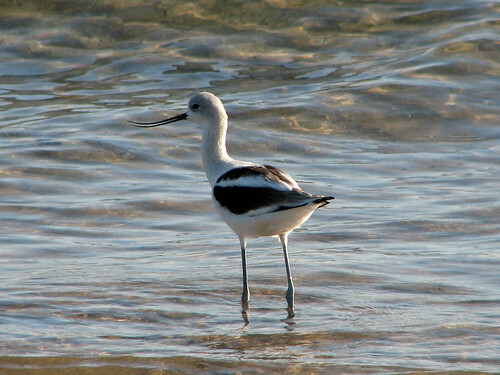 An American Avocet. 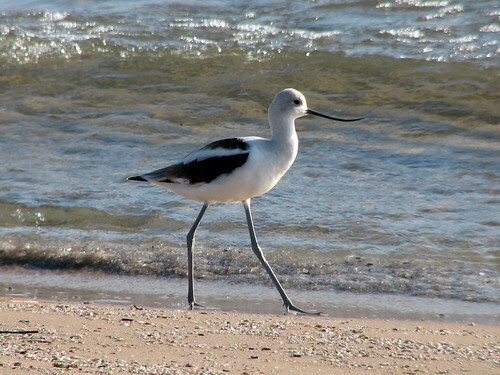 I mean, OMG, an AMERICAN AVOCET !! best bird of the weekend wooo!! 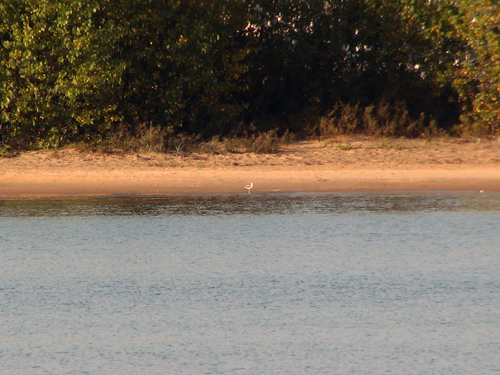 It stood still on the beach for a time, then scooted across the sand towards our pier, still very far from our group. It fed for a few moments when suddenly a person walking on the beach spooked it. 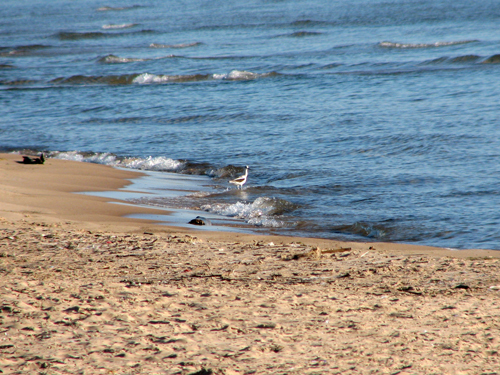 The bird took flight over Lake Michigan. We all watched it circle away from the beach. It turned back and I think I may have held my breath. It landed on the other side of the pier. 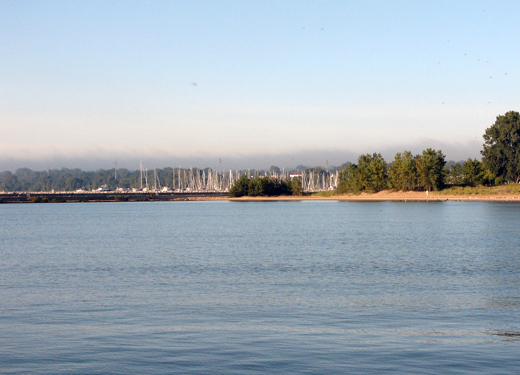 It marched towards us until it was just a few feet from the pier. We got to spend some quality time with this life bird. 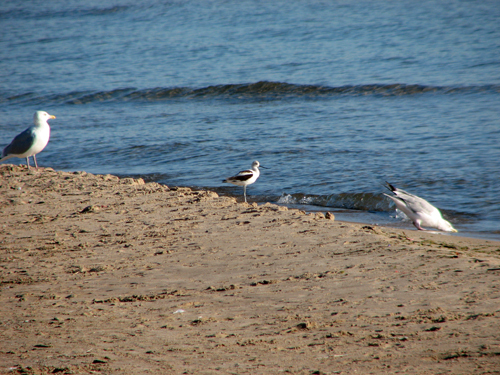 We attended the Illinois Audubon Society Fall Gathering this weekend, and this Avocet was one of the star birds. We certainly picked the right field trip for this morning! More to come on the fest. For more bird photos from around the world, visit Bird Photography Weekly. This entry was posted in Bird Photography Weekly, Illinois Audubon, Lake-Cook Audubon, Life List. Bookmark the permalink. I am jealous! Divine shots! 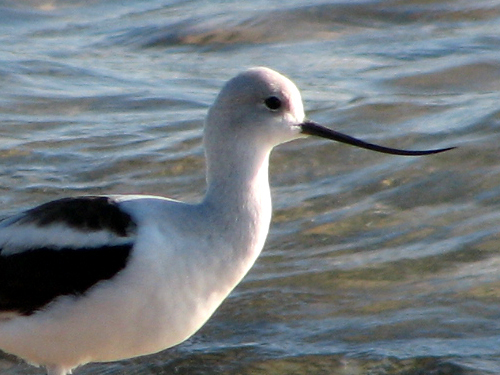 Gorgeous captures of the American Avocet Amy! You are one lucky girl. Enjoy the Fall Gathering and bring us another report will ya? Beautiful bird and great photos. Thanks for including the scenic photos at the beginning. It makes it so much more interesting to see the environment around the bird. Wow! It would have been a lifer for me as well. The third and fourth photos from the bottom and fantastic! Sweet sighting and excellent pics! @ Canaduck: Thank you! We were lucky the bird came right up to us, no zoom needed. @ Mick: Thanks for the kind words, glad to hear you liked the long views too. @ Kelly: She sure was photogenic. I took about 60 shots! 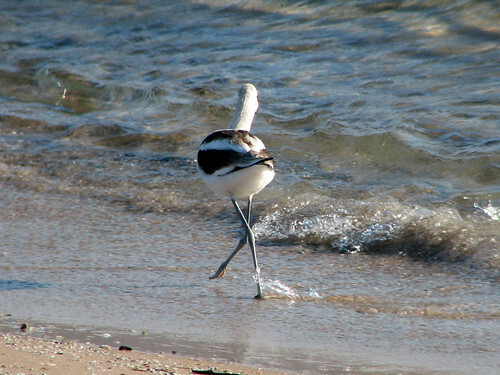 @ Gwendolen: It was a fun lifer – Pied Avocets were always one of our faves. @ Bob: Haha! As I was writing up the post I kept thinking I was spelling Avocet wrong – it does look like you’d need a prescription for one! @ Mike: Thank you! It was truly the best bird of a weekend where we got SEVEN lifers! Best bird of the fest for a lot of participants. Whee! Nice sighting & great photos. Those last few are particularly good – and so close up.